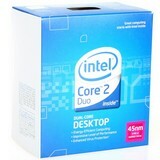 CPU: INTEL Core 2 Duo E7400 - 2.80GHz, 1066MHz FSB, 3MB cache, socket 775, BOX (Penryn, Wolfdale) - cca 2 519,- s DPH. 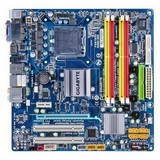 MB: GIGABYTE EG41MF-US2H, G41/ ICH7, VGA + PCIe x16, DDR2 800, SATA II, USB2.0, GLAN, FW, DVI, HDMI, mATX, 8ch audio, sc775 - cca 1 439,- s DPH. 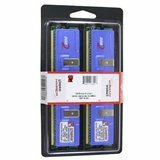 RAM: 2GB (KIT 2x1GB) DDR2 1066MHz PC8500 CL5 KINGSTON HyperX BOX - vhodné pro DualChannel - cca 1 379,- s DPH. HDD: WESTERN DIGITAL Caviar Green 1000GB, SATA II, 64MB cache, IntelliPower, 8.9ms, WD10EARS - cca 2 099,- s DPH. 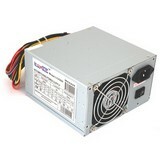 Zdroj: Zdroj LC POWER LC420H, Zdroj ATX 2.2, pasivní PFC, 2x SATA, 80mm ventilátor - cca 467,- s DPH. 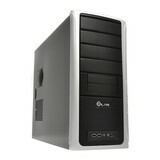 Case: CoolerMaster Elite 331 - černý tower, ATX, 4x5.25", 2+5x3.5", bez zdroje - cca 995,- s DPH.